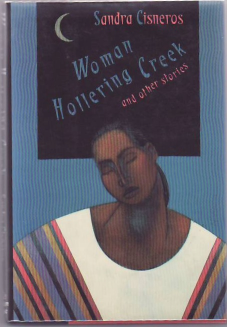 The irony of “Woman Hollering Creek,” the titular story in Sandra Cisneros’s collection Women Hollering creek and Other Stories , is that its central character’s tragedy is to have fulfilled her dreams without realizing it, having misunderstood or misinterpreted the object of her own desire. Cleófilas is a young Mexican woman who crosses multiple frontiers: in marrying one Juan Pedro Martínez Sánchez she is taken not only across “her father’s threshold” but also “over one border and beyond to a town en el otro lado–on the other side” and so to a new life in the United States (43). But she hopes for still greater transformations: “What Cleófilas has been waiting for, has been whispering and sighing and giggling for, has been anticipating since she was old enough to lean against the window displays of gauze and butterflies and lace, is passion” (44). Hence the frontier that she most keenly feels is the translucent but stubbornly real distinction between her life and the world depicted in the commercial culture that lies on the other side of the shop window. She desires above all the emotional intensity that she senses lies on the other side of her television screen, “the kind the books and songs and telenovelas describe when one finds, finally, the great love of one’s life” (44). Sadly, it seems, Juan Pedro is not the man to provide this soap opera exhilaration. Though Cleófilas likes the sound of her new hometown, Seguín, Texas, which resonates with “the tinkle of money” and inspires in her the notion that “she would get to wear outfits like the women on the tele” (45), the reality is that life in Texas is marked by “dust, despair” without even the compensation of a “leafy zócalo” or “huddled whispering on the church steps each Sunday” (50). This is a privatized despair, particularly claustrophobic for women, who have to learn “to depend on husbands” (51). But the menfolk can offer no salvation: they too are ground down, and they take out their own disappointment on their women. Juan Pedro starts slapping his wife around; Cleófilas comes to realize that “he doesn’t look like the men on the telenovelas” (49). Beset by her husband’s violence and indifference (he doesn’t even “music or telenovelas or romance or roses” ), and fearful of an even darker undercurrent of murder and death, Cleófilas turns to the creek that borders her world: named perhaps Woman Hollering or Woman Weeping (La Gritona or La Llorona) it seems to articulate what she herself can still barely make out. For she has found passion and emotional intensity: but only in the form of passivity and suffering. And she is indeed living the life of a telenovela, “only now the episodes got sadder and sadder. And there were no commercials in between for comic relief. And no happy ending in sight” (52-53). Pregnant (for a second time), Cleófilas goes for an ante-natal check-up, where her bruises are all too evident. The doctor examining her calls a friend with a plan to spirit the battered woman away from her husband, back to the rather different despair incarnated by life back home with her father and brothers again. As the two would-be rescuers chat about the situation, the inadvertently confirm the souring of Cleófilas’s dream: “Yeah, you got it. A regular soap opera sometimes. Qué vida, comadre. Bueno bye” (55). We live the scripts that popular culture provides for us, Cisneros suggests both here and throughout this entire collection, if not necessarily in the ways we might originally hope or anticipate. Sometimes we can adapt them to our own ends; after all, Cleófilas’s putative saviors feel that they too are part of the same soap opera. That goes as much for the confident and aptly-named Felice who, in her own car, drives her hesitant charge out of town and over the creek, hollering in resonance with its unusual name and ceaseless flow.